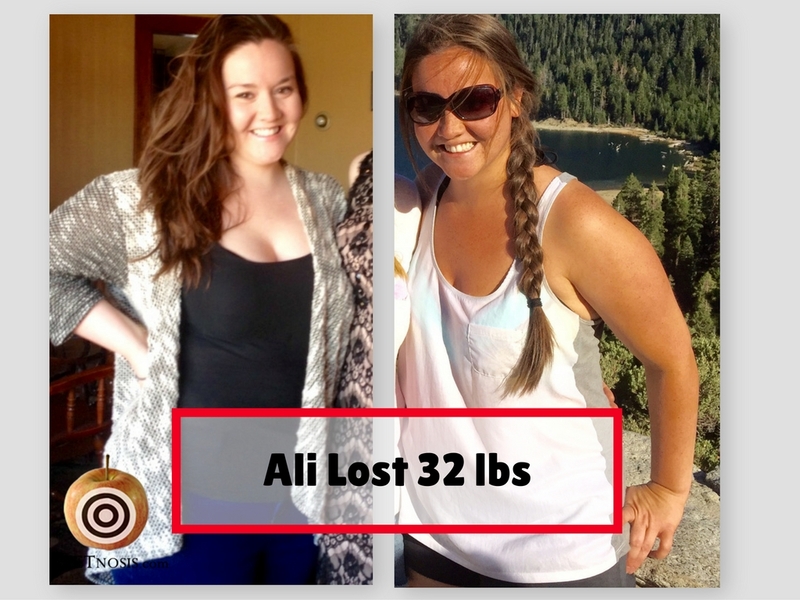 How Did Ali Hallinan Lose 32 Pounds Without Counting Calories? With a Plant-Based Diet, Meal Planning and Consistency! Ali, tell us about your weight loss journey. My Whole Food Plant Based (WFPB) journey has taken me a while. I learned about it back in 2013 when I was 22 and my initial motivating factor was weight loss. Over the past couple years i’ve been back and forth with trying to lose weight. Several times I tried to go cold turkey (eating no animal products), and each time I lasted a month or so but not having the willpower to stick with it. In social settings, I would fall into temptation and then simply give up for a while. But I knew I had to get back to the WFPB diet, because, in the long run, I knew it was the healthiest way to eat. Now I have been steadily eating a WFPB diet since January 2016, and I have lost 32 pounds so far. I don’t see myself going back anymore after knowing what I now know, and the more I educate myself, the more incentive I have to stick to it. What was your life like before you made your transformation? I was a classic example of eating when I wasn’t hungry. I would eat because I was bored or stressed or because it was part of a social aspect of going out with friends and family. I gave into cravings all the time. I would try different calorie limiting diets that I thought were healthy at the time. I would have some success with them initially but end up falling off track, returning to old habits, and putting on EVEN MORE weight. Not only did I feel tired and lack energy, but repeating this frustrating cycle left me feeling defeated with a sense of no control. As a nurse, I never stopped being fascinated about the impacts diet has on health. I am impressed with the evidence behind the WFPB diet, and how it can dramatically improve many of the diseases that Americans face. I want to be able to help patients get better. At work, the trend that I see is that the patients getting larger and sicker. They are becoming more dependent on medications. Their health and quality of life is suffering. I want to be able to lead by example, be knowledgeable, and be living proof that the WFPB diet is effective. If I’m going to suggest the WFPB diet to a patient, then it is a huge motivating factor for me to be successful with this diet. I want to be able to lead by example, be knowledgeable, and be living proof that the WFPB diet is effective. Once you started on your journey, what skills worked best for you? What aspects of being a Type 6 Personality helped you the most? Did you use Type 6 skills like Meal Planning and Problem Solving? 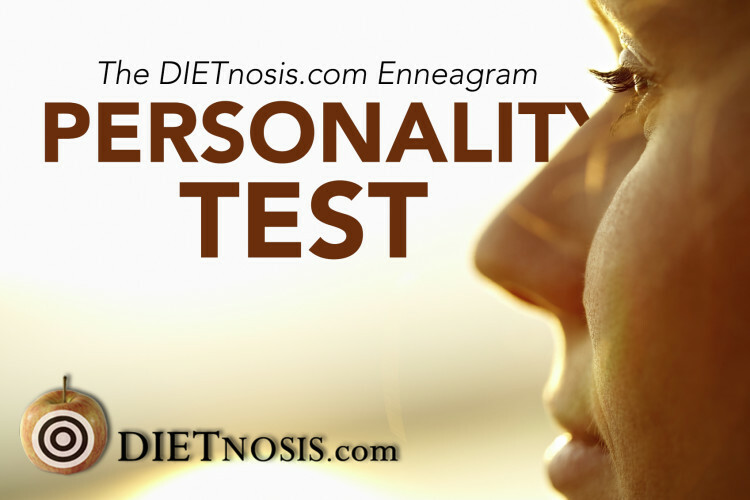 Yes, I did very closely identify myself with all the diet and fitness factors described in the Enneagram Type Six Personality. I find myself sticking to similar favorite foods and comfortable routines. I like going to the same grocery stores and prepare familiar recipes. It is true that I prefer working out alone, and keeping them very consistent and scheduled. Now that I’ve been doing this “trial and error” for a while, I am finally getting the hang of what dishes I like best and how to meal prep. Now I know exactly what I’m getting at the grocery store. I have learned my favorite recipes so that they are easy now and eating this way is no longer overwhelming. The longer that I eat this way, the easier it gets. Once you started to change your diet, what were your roadblocks and how did you navigate them? Did you use any Type 3 skills (S.M.A.R.T. Goals and Finding Your Purpose/Source Of Strength) or Type 9 skills (Focus on The Process). The biggest roadblocks along my journey have been the peer-pressure faced by friends and family to give into a Standard American Diet (SAD) diet. (i.e. family functions, traditional home-cooked meals, social settings, etc.) I have also faced a lot of criticism and opinions of others who disagree with this lifestyle, which is probably the most difficult aspect of all for me. It is also extremely frustrating to work in the healthcare field having this knowledge. I see it all the time, that patients in the hospital are offered food that is not health promoting. Good nutrition that is based on scientific evidence does not seem like the focus or priority in many hospital settings. When I look back at what has worked for me, it is true that I have used the Enneagram Type 3 skills to empower myself and overcome roadblocks. Finding my “Purpose” has been the most important factor driving me to comply and adhere to this diet, like being healthy as an example for my patients. I would say I do have a spiritual source of strength that keeps me going, as I find that plant based way of eating closely aligns with my most deeply held values. I also agree that finding your “WHY” is so important. There were many diet tools, strategies, and resources to help me with “HOW” to lose weight, but the stronger my connection became to “WHY” I was losing weight, the more motivated and stedfast I became. Tip 1: Always cook extra so you have leftovers for work or so you have something quick and ready on the go for later when you don’t have the time to dedicate to preparing a healthy meal. It always helps me to keep well stocked with my favorite healthy go-to options for when I’m short on time. Tip 2: Never let yourself get too hungry. I always make sure I am stocked and prepare meals in advance so that I keep myself fueled on high-fiber, filling foods that can get me through the day without feeling hungry so I don’t start craving unhealthy foods. Tip 3: Consistency is the key. At first it felt overwhelming, but I worked to change my daily routine. After I started changing the way I did my food shopping, my meal prep, and finding different restaurant choices, it helped me adjust to the diet more quickly. Soon I felt like I was back in my comfort zone. In the past, my diets simply consisted of cutting calories. They were successful to a degree because I did lose weight, but it was a lot of work and effort and quite honestly, it made me miserable, tired, and my cravings got worse. It was never something I could sustain, so the weight would always come back, leaving me very discouraged by the entire process. I never liked the idea of limiting or restricting myself by cutting calories or adhering to much smaller portion sizes. It felt like a punishment, and it made my self-esteem worse when I couldn’t stick to it. In reality, when on other diets, I was either depriving myself of overall total calories or the complex fiber filled carbohydrates I needed to fuel my cells and give me energy. If I could go back, I would say, “don’t second guess yourself, and trust in the process.” If you stick with it long enough without giving up on yourself, the temptations and the cravings will go away. It will become easy for you to avoid and decline unhealthy foods at picnics, work, and restaurants. You will begin to feel comforted by and start craving the healthy foods instead. The longer you integrate them into your daily routine, the more you will start to prefer healthy foods over junk foods. Being patient was difficult for me. I have done the quick fix diets before, and I have seen the weight come off faster in the past. Even though I know their results do not last and have proven to be only temporary fixes for me, it has been hard for me to accept that this process takes longer. Despite my self-critical nature, I try not to get discouraged. It helps me to reflect on my journey and consider the progress I have made thus far. I remind myself that I am now able to sustain and continue this progress, even if it is at a slow and steady rate. Do you have a favorite sources of inspiration or resources you would like to share? 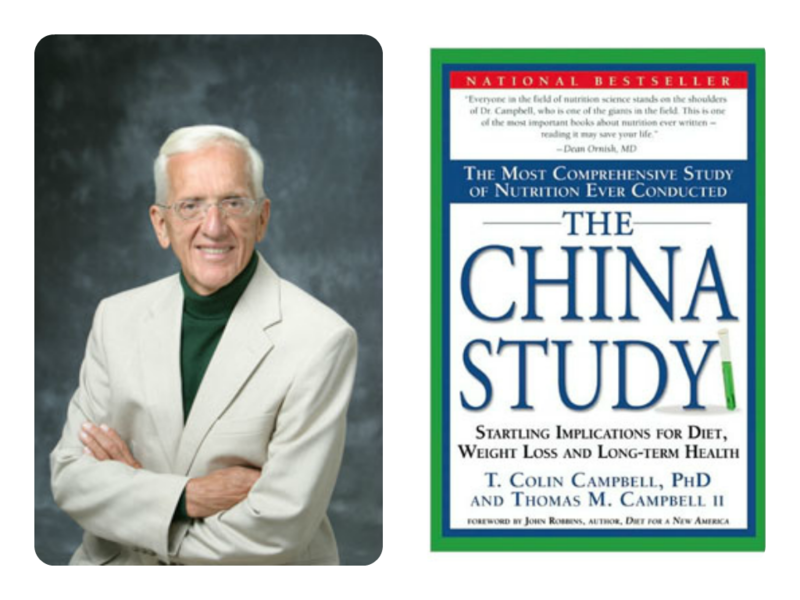 I first learned about a plant-based diet in 2013 when I discovered Dr. T Colin Campbell’s book The China Study. His teachings and his resources have been a huge source of inspiration for me from the very start. I frequently visit his website at the Centers for Nutrition Studies www.nutritionstudies.org to keep inspired and motivated. There are many free resources, articles, references, and recipes there. They also offer online courses through e-Cornell, to obtain a Plant-Based Nutrition Certification, for anyone who is interested which I personally found very beneficial and informative. My favorite aspect of weight loss following a WFPB diet is the fact that I never worry about calorie counting. I eat when I am hungry. I eat until I feel satisfied. I eat all the carbs I want in a day, and I still maintain my weight or end up losing more without trying at all. It is something that I am still surprised by to this day. When I feel as though I overate and surely gained weight, I am always pleasantly surprised when I step on the scale to see I have not gained back any! It took me a while to get the hang of a WFPB diet at first, and I did relapse several times between 2013 and 2016. I think I can now attribute that to the fact that I did not fully embrace the concept of a predominantly starch based diet. I feel like I was still depriving myself of carbs and due to that I was probably restricting my overall caloric intake. I still felt hungry all the time and really battled cravings, which made it harder to resist temptation and sometimes caused me to go back to old habits. By increasing my starch intake with foods that I had previously restricted (i.e. potatoes, pasta, rice, whole grains) it has made all the difference. I now have consistent and reliable success when it comes to following this diet, which now feels more like a sustainable lifestyle for me. I admit that in the past, I have splurged on fancy items like a vegetable spiralizer, a juicer and a Vitamix. 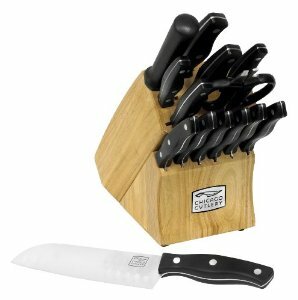 Surprisingly, however, the most useful utensils in my kitchen are my knives! Investing in some good sharp ones has been invaluable. I use them more than anything else in my kitchen. I cut up veggies ahead of time and store them in Tupperware containers so that they are ready to go. I can easily throw them on top of a pizza or in a burrito, making meal prep quick and convenient! This is a very cool site, this would have been so helpful knowing these things back when I started in order to better set myself up for success the first time around! I am so impressed. I think that it is a super useful tool to help patients self identify their Personality Types with eating and fitness habits. This way they can use it to establish better compliance and adherence to their nutrition and weight loss goals! How awesome! Where can people learn more about your story? Are you highlighted in any other places on the web? Thank you Ali for sharing your experience with us. Your story is very helpful knowing that the Plant-Based way of eating is easy to adopt, with some simple tricks like meal planning and prepping. You inspire us to lead by example and uplift the health others. Keep up the good work!